Not the greatest quality, I know, but... Africa! AFRICA!! Y'all! This girl is going to Africa! And I leave in just over two weeks. At the beginning of the month I had no plans to go anywhere out of the country, let alone to Africa. And now, I leave in two weeks. It's a crazy story that I will go into in more detail very soon because I am sure I will have lots of feelings to share as I journal through my trip, but the short version is this... God works in crazy ways! I feel so humbled (and excited and nervous and scared and happy and...) to get the chance to head to Nairobi, Kenya, mid-April, to learn about some amazing work being done to serve and work alongside the marginalized poor. I am preparing my heart for what I am sure will be a roller coaster of emotions as I travel out of my comfort zone and learn from people with stories that I can't even begin to comprehend. I said yes to this trip with a twisted knot of fear in my stomach, because traveling out of the country has always scared me, but since saying yes I have felt such a surge of peace. I have heard so many wonderful things about Kenya- about the amazing people I will meet and the things I will see- and my excitement is building by leaps and bounds. And yes, I am super stoked to maybe see an elephant or two, or fifty! I'm not really even sure how to follow that now (hence why Africa is getting it's own post- or segment of posts- really soon), but there have been some other great happies this month too! EASTER!! The celebration of the Love conquering death! Though what leads up to that glorious day is hard and sad, it only makes the glory of Jesus' resurrection that much sweeter! He took all of that pain and suffering on for us, for me- undeserving, often sinful, broken, wandering me. I couldn't be more thankful for a God who Loves that BIG!! NEW SHOP HAPPIES!! The new goodies are now officially here! 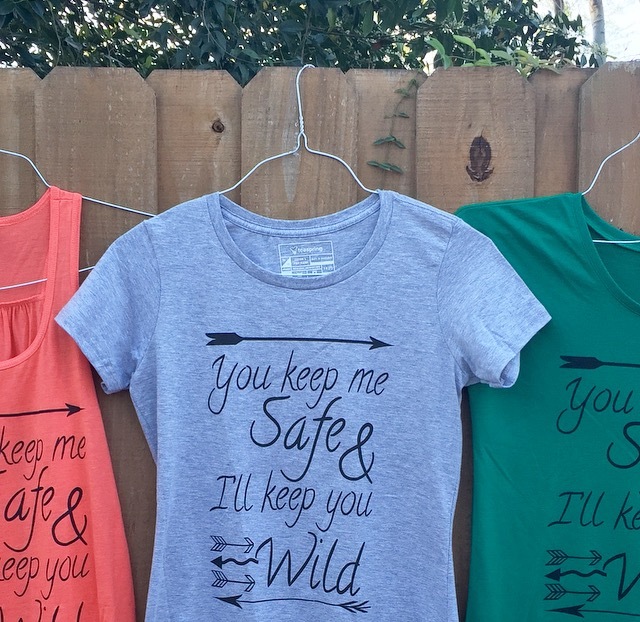 I couldn't be more in love with the "you keep me safe & I'll keep you wild" shirts that have just been added to the shop!! 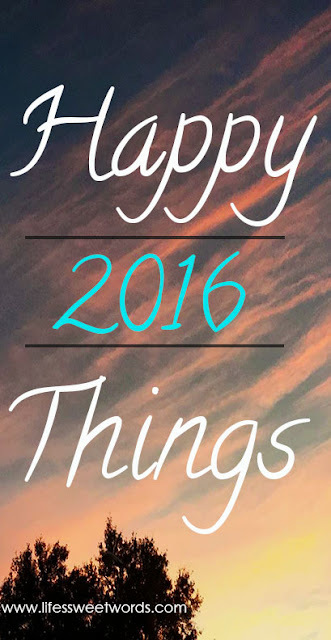 If you love them too, head over, take a peek and maybe grab yourself a happy this month!! Those are the biggest happies for the month of March in my neck of the woods! Link up below and share any happy posts from your month! How exciting! A few years ago I went to Uganda on a couple mission trips with my university. It really will change your life and how you perceive everything. So happy for you to have this opportunity! Thank you for the encouragement!! I have heard so many wonderful stories from others who have been to different parts of Africa and I am looking forward to seeing how God will grow my heart on this trip. Happy Friday! I love the shop! Such cute designs :) Also I think it is great you contribute towards missions you're passionate about. You will do great things in Africa, God bless you and your trip! Thank you so much!! That is really sweet :) And thank you for the blessings!! Happy Friday! Wow! Have a great time in Africa. I know that will be one amazing experience! I really like those shirts, also! I will have to check out your Etsy shop! Thanks so much!! I am really excited about it! And thanks :) Happy Friday! Africa! What an adventure! I am visiting from Keeping the Good linkup today. I hope I followed this link up correctly. I do a thankful list every Friday so I listed my last two for March. Feel free to link your party to my parties on Tuesdays and Thursdays. Both are still going on. Have a wonderful time and stay safe. Yep, you added perfectly! Thanks for joining in! Thank you for your encouragement for Africa! Hope you have a wonderful Wednesday! Wow, Africa! That is really a big thing to look forward to. I'm so glad I stumbbled upon your blog post and now have a new link up to join. Found you over at #Keepingthegood and this is Lowanda of Sunshine and Elephants. Definitely excited, that's for sure! Thanks for stopping by! Excited to have you join in on next month's linkup! Heading over to check out your space. Hope you have a beautiful Wednesday!